Abstract art deals primarily with ideas in its subject matter. In its form, it is usually removed from realism, and does not try to represent the physical world in a common sense way. Many people find abstract art inaccessible because it often has no recognizable forms in it. Abstract art is characterized by a reduction to the elements of art; for example, color, line, shape and form. 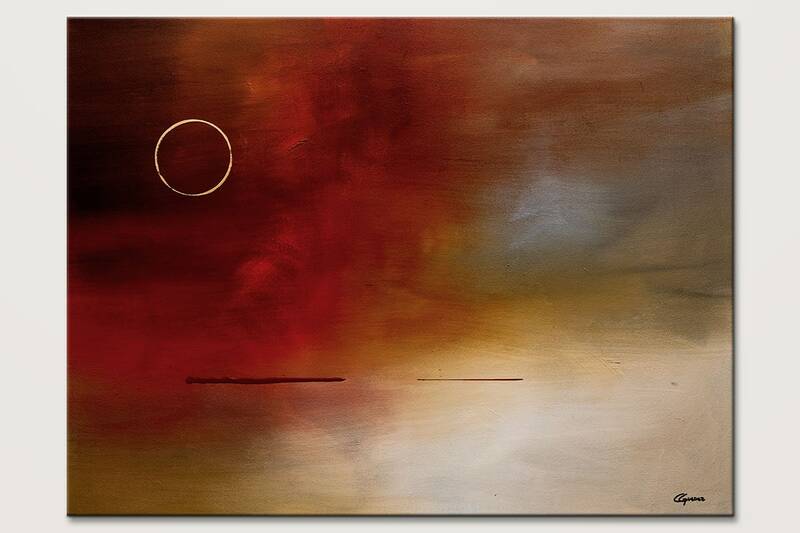 Abstract artists make use of these elements often in a very simplified way. Cubists, like Picasso, seemed to want to point out that the visual experience of something was never a simple, one-angled shot, but is made up of our ability to move in space, and have 3-dimensional vision as a result of the positioning of our eyes. Mondrian reduced his paintings to the three primary colors (red, blue and yellow) and black, white and greys. His subject matter? Well, he was trying to find a universal set of visual terms that could be recognized and interpreted by all people, regardless of their cultural background. Jackson Pollock, had a gentle, considered technique of applying carefully selected colors to his giant canvases to create depth, layers, interesting relationships, patterns and conflicting focal points. He created form through……………. read this article …. I’m a great collector of paintings, favouring those done by my very talented family members, but occasionally I’ll find a print that I like, or take the bold step of shopping at an art auction. Of the two, in my opinion, framing and block-mounting prints are by far the less expensive option. Colors play a very important role in the field of paintings; every piece of art is useless if proper colors are not used for enhancing the ideas of the artist. Other than the pencil art, where only pencils are used the other types of paintings need colors. This entry was posted in Abstract Art Site and tagged Abstract Art Site, Abstract Paintings, Art, Art Deco, Colors on Paintings, painting, Pop, Wall Art on July 17, 2013 by Carmen Guedez.